Musings for the potting shed...: Consistency and heartbeats.. There was a funny news story I heard recently about a commuter train, the 7.29 service from Brighton to London Victoria which hadn't once been on time during 2014. For various reasons it had consistently been late every single day. As it happens, this week I've been set the topic of consistency, which builds on my post last month about routines, rhythms and habits. Have you ever been in hospital and hooked up to a machine which monitors your heart rate? You see them lots in films or TV dramas after people have had accidents of some kind. What's healthy is the regular beep and signature heart rate pattern. The last thing you want to hear is a steady tone and a flat line across the screen. "It's important to have a consistent heart beat - this is a sign that we are alive"
My wife and I have been watching 24 again recently and there have been scenes in which characters end up "flat-lining" - losing their vital signs of life. In medical terms, it's important to have a consistent heart beat - this is a sign that we are alive. If you've never read Daniel Coyle's book "The Talent Code" then it's a great book on the topic of excellence and the importance of consistently and diligently developing your skills through practice - this causes something called myelin to reinforce neural pathways in our brains and enable us to improve. As Aristotle famously said "We are what we repeatedly do. Excellence, then, is not an act, but a habit." Sometimes I think we can get so focused on the things we repeatedly do wrong or wish we didn't do, that we forget to pay attention to the things we do well. Or more often we're simply inconsistent with the things we really want to do. Perhaps we have bursts of commitment to something, like healthy eating, exercise, or learning an instrument, but then end up binging our way out of it with poor food choices, laziness or apathy. I think we can all agree that self discipline is hard since it requires us to be whole hearted when so often its easier to be half hearted. Like a heart beat, if we want to develop in whatever area, we need to be regular and consistent in our commitment. Making space for it in a regular pattern, maybe "little and often" to begin with, to help us get into good habits. That's something Daniel Coyle observed in his book - it was better to practice for five minutes every day than for a few hours once a week. Our brains are wired to reward consistency, and when we're growing up it's important to have consistent boundaries to enable us to grow - as any parent of toddlers or puppies knows, consistency is a key element of good parenting (although knowing that doesn't make it any easier). "Like a heart beat, if we want to develop in whatever area, we need to be regular and consistent in our commitment." There is a cumulative value in investing small amounts of time in certain activities over a long period. For example exercise, family time, devotional time, date nights. There are rarely any immediate consequences for neglecting single instalments of elements in your life. Neglect has a cumulative effect. Look at your garden! There is no cumulative value to the things we allow to interfere with the important things. In the critical areas of your life you cannot make up for lost time. Do you need to change your switch? Perhaps the opposite of consistency is neglect. Are you starving your dreams and passions to feed other less important demands on your life? So often I think we can take a binary approach, either we're all this or all that. 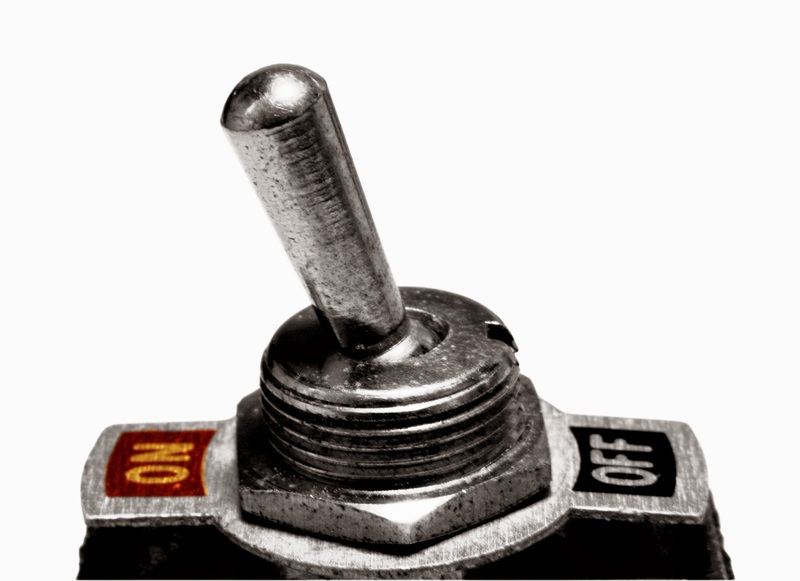 Either it's my family or my dreams, or my work, or volunteering - the switch is either on of off. I don't subscribe to this, I think our lives can be more like a dimmer switch or a mixer tap. Maybe this year you can ask yourself how can you combine both somehow - maybe invite your dreams and passions to dinner, so to speak! "I think our lives can be more like a dimmer switch or a mixer tap"
So what does your heart beat pattern look like? 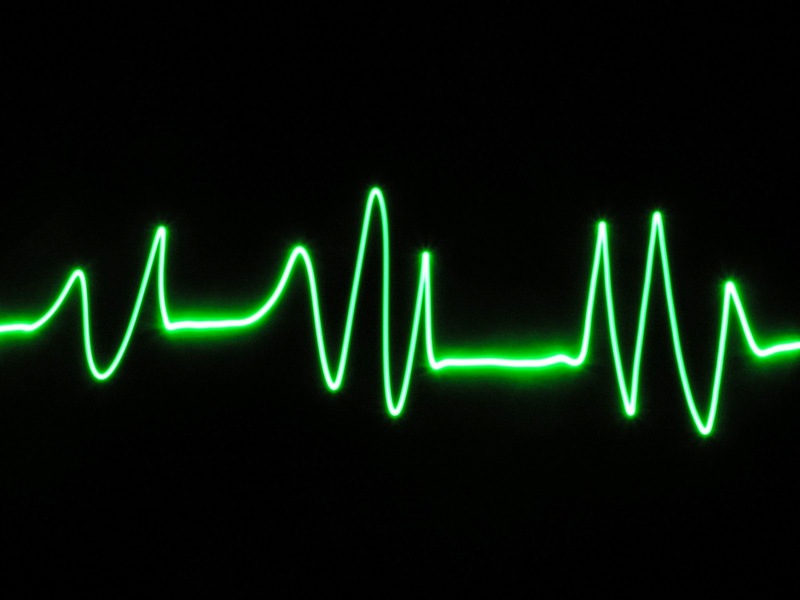 Are you allowing your true heart to beat, or are you in danger of flatlining? Perhaps your "little and often" way to consistently integrate these things into your everyday is about accepting the pattern of your heart trace - allowing yourself to have regular times devoted to your passion, even if it's not as often as you'd like or as long as you like. Our lives have seasons when the demands of our families or work crowd other things out, slow our creative heart rate down but no matter what season you're in, it's important to keep it beating. Conversely, there may be times where you have the opportunity to increase your creative heart rate, but the important thing at any time is that you're consistently allowing your creative heart to beat on a regular basis, not flatlining. This might mean setting aside one evening a week for a particular activity, or a weekend a month. Maybe you could explore changing your working patterns to make space for this, even a sabbatical of some kind. And if you're struggling with self-discipline, feeling half hearted, then find a tribe to help you. I've found this useful myself. Being part of a blogging group which I'm accountable to gives me the motivation to stay consistent with my own writing in a way I'd struggle to do on my own. Who could you ask to share your journey? We can often go further with others. Don't consistently put off the most important things in your life, instead, allow your live to thrive by consistently allowing your creative heart to beat. And if you feel like you're flatlining, check out my book Life Space on Amazon, perhaps it can be the virtual defibrillator you need to kickstart your dreams to life again. "Don't consistently put off the most important things in your life, instead, allow your live to thrive by consistently allowing your creative heart to beat." Thanks for taking the time to read my thoughts on consistency! If you've enjoyed it why not share it with your friends on social media?